If you have to make temporary bicycle lanes, it's ever so nice that they're done properly. The construction of the new Copenhagen Metro City Ring is well underway around town, not least in my neighbourhood. 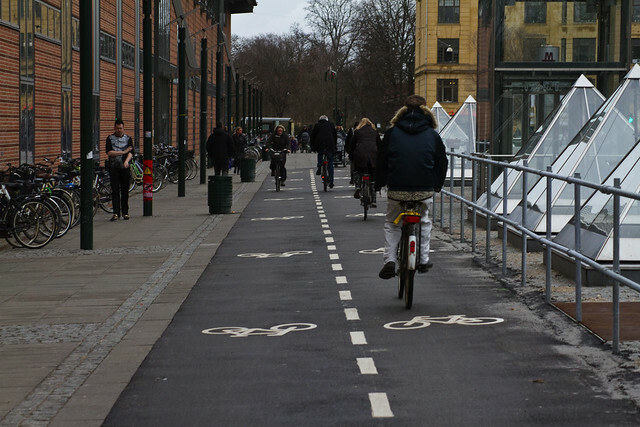 The area around the existing Frederiksberg Metro Station is a chaos of construction and the city has moved the bicycle lanes and pedestrian traffic as a result. It's only a stretch of a couple of hundred metres or so but it's an important link. The lanes are paved nicely and there are many bicycle pictograms to hammer home the fact that its for bicycles. It's not often that I ride on bi-directional bike lanes in Copenhagen and it feels a bit odd when I do, after being used to having protected cycle tracks on each side of the street. The only real bi-directional stretch is the Green Path that cuts across the city - which this section is a part of. I do, however, appreciate that this stretch is so well-made and not a clumsy, temporary solution. On the other hand it is necessary to make it properly, as there are easily over 5000 cyclists a day riding past this spot. That is probably a low number given the fact the shopping centre on the left attracts many customers each day. Frederiksberg Metro station looks like this from above today. Another platform/station will be added to accomodate the City Ring. On the square by the station last weekend there was a pleasant surprise. 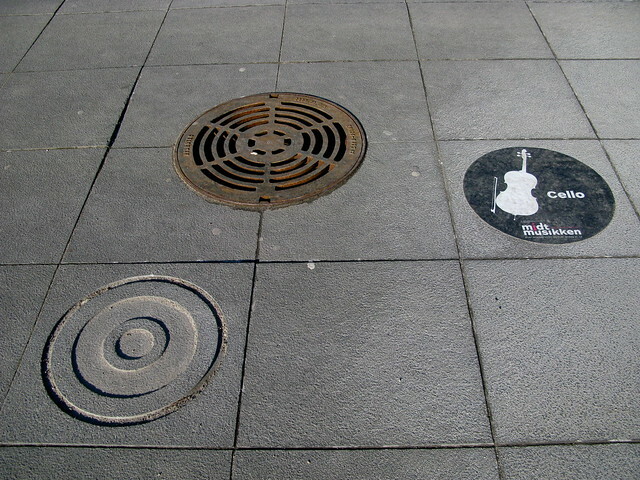 There are speakers on Solbjerg Square, embedded beneath the ground. There is often music playing on the weekends. I've heard some cool jazz before. At the moment the many speakers are all part of an orchestra playing classical music. Each speaker is an instrument and it feels like you're in a concert hall. 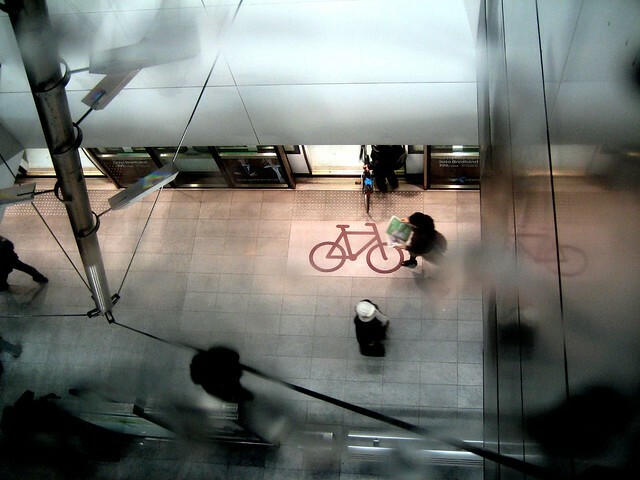 You can walk or ride your bike around the square and feel like you're moving through the orchestra pit. Brilliant.